We are a vast network of companies with shared values of safety, integrity and reliability. Our network leverages its strength to reach thousands of potential charter customers, increase efficiency and give you a competitive advantage in your marketplace. 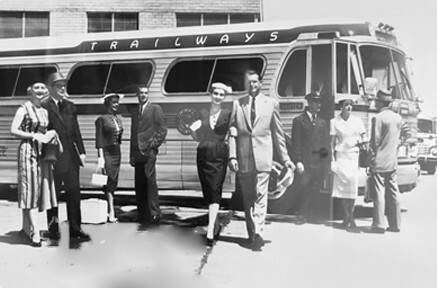 As your charter bus company looks to the future, consider putting the Trailways brand to work for you. It can be an extension of your sales team, leveraging your marketing dollars. Scroll down to view our special promotion that can save you 50% off your initiation fee. Trailways members gain direct charter referrals, quote bids and multibus move opportunities from all market segments. The robust website www.Trailways.com generates quote referrals from charter planners worldwide 24/7 and sends them directly to Charter Network members daily. Use the promo code below for 50% off your initiation fee when you become an approved Trailways brand member. Offer valid through July 1, 2018.